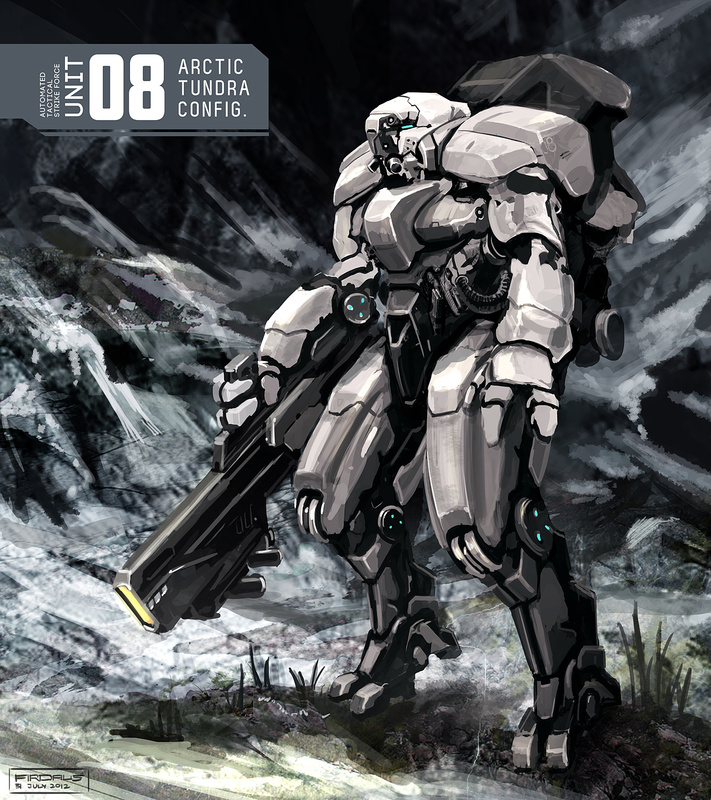 maggot in the brain: ATSF Unit 08 - Arctic Tundra Config. ATSF Unit 08 - Arctic Tundra Config. I've been so busy doing some work for friends lately that I've forgotten how good it feels to work on something for myself. It's almost like skipping boring homework or secretly doodling during lectures. Anyway, I tried knocking in some manga/mecha sensibilities into my design, while trying to keep a pretty serious Western bulky silhouette to the whole thing. As always, I have major problems with robot legs. Had to finish this up real quick, to make way for serious work. Bummer.